I love to gaze up at the moon. I think it's such a wonderful, beautiful, and mysterious creation of God: a non-light reflecting a light to become a light. 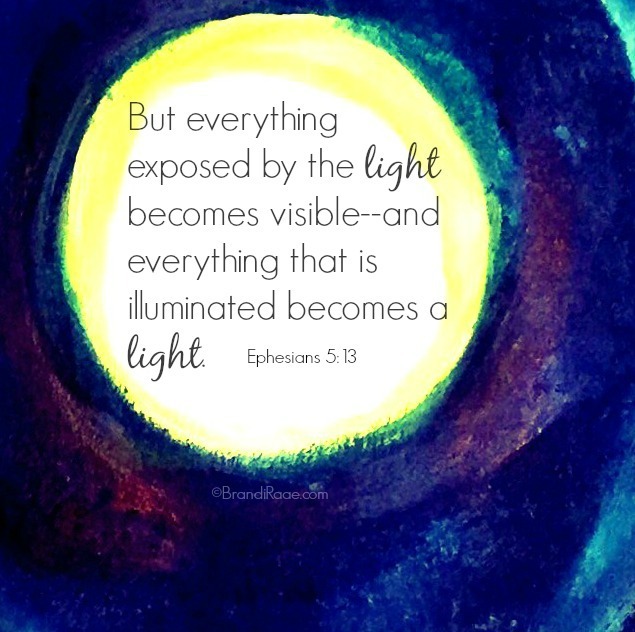 I think Ephesians 5:13 does a much better job of explaining this concept: "But everything exposed by the light becomes visible--and everything that is illuminated becomes a light." Now, I realize that this particular verse in context isn't really referring to the moon, but I still think it can be applied. When the dark moon is exposed by the sun's light, it becomes visible, and in turn becomes a light to slightly brighten night. It's like the moon is a visible word picture of how we should live as Christians. I just love that! We don't produce our own light, but we should be reflecting the light of Jesus to this dark world in which we live. When we are exposed by the Son's light, we become little lights to also brighten night. If you'd like some moon Bible verses to go along with any kind of moon study with your children, feel free to print these verses. You may even want to cut out the verses into strips and memorize one verse per week with your children. 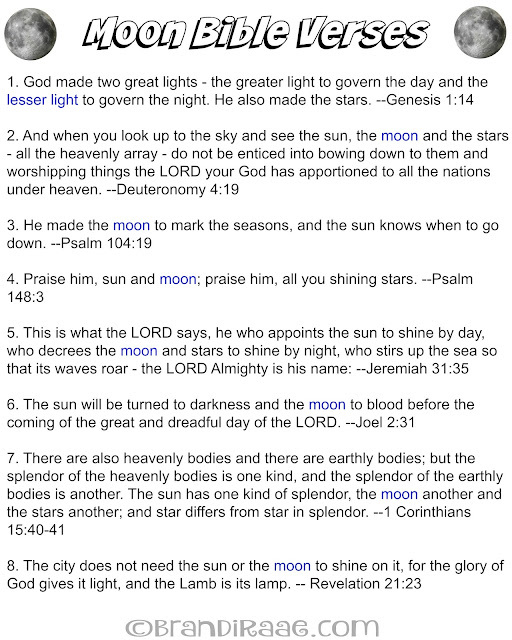 :) Some of these verses are best read in context for better understanding. 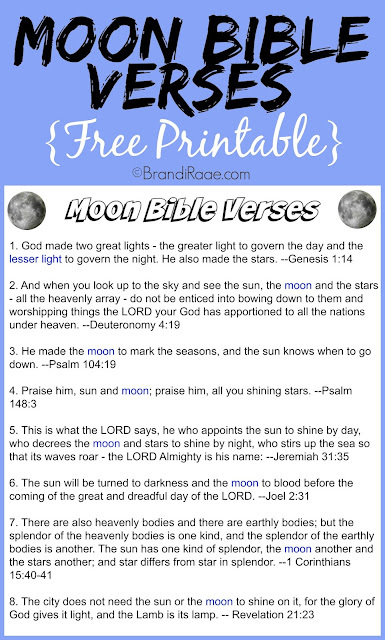 Click here to print the following Moon Bible Verses Printable. Check out my children's book about the moon! February ~ A Month of Firsts!